Sometimes Mother Nature is the enemy. How to prep your home for Winter, The Most Wonderful Time of the Year! According to Travelers, the most common cause of property damage comes as a result of a storm. Either wind, hail or water damage coming from rain or snow that has gotten inside causes more claims than any other for home insurance customers. It makes sense to do what you can to prep your home for winter before the storms come in full force. Below is a list of tips to help you get ready for The Most Wonderful Time of the Year! A healthy roof is a happy roof! Get rid of dead branches before they cause roof damage. Dead or dying trees or branches break easier than healthy branches. 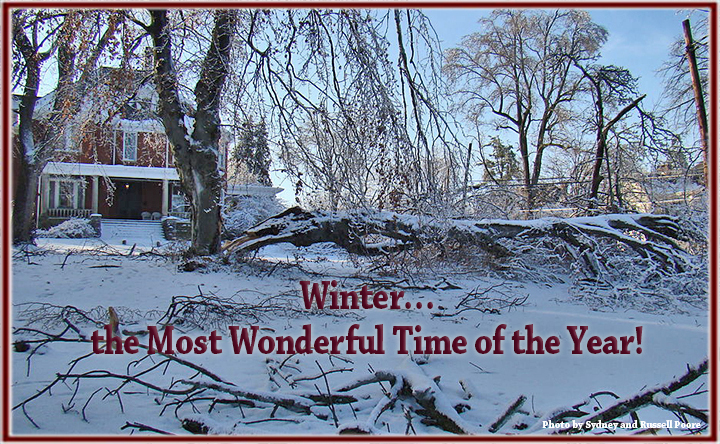 If you have a tree close to your home, cut back anything dead or dying or bring in a professional. Clean gutters & down spouts. If leaves and other debris are blocking the flow of rain or melting snow, the water can collect and cause all kinds of trouble. To avoid ice dams, try adding additional insulation to your attic. Check for signs of damage. If your roof has missing shingles or tiles or flashing that is exposed, now may be the time to get it taken care of! A place for everything and everything in its place! Be sure flammable substances are not stored anywhere near the hot water heater or electrical wiring. Have you furnace cleaned and inspected. Be sure your dryer is lint free, clean the filter as well as under and all around the appliance. Check your outlets for signs of damage and be careful not to overload them. Have fire extinguishers on hand. Check your smoke detectors and change their batteries. As your Advocate, we are here for you. Keeping your home safe from Mother Nature so that winter storms don’t wreak havoc is important to us but sometimes, no matter how much preparation we put in, damage happens. Either way, we’ll be here!